unless someone pays the right price. - The insatiable, raging flames of Asura's Enton burns hotter than any other flame known to man. This flame does not just burn flesh and stone-- but also feeds off chakra in order to flourish. + Effect: Burn status + Burn Status also removes 20% enemy’s chakra per turn. Created by: Asura "Enjin' Jiin. [> Jutsu Description]: By training to the peak of one's potential in Earth-Release, one can become one with the earth and learn to wait and listen. With this jutsu, one's senses become one with the earth below to allow them a powerful sensory ability. By feeling the vibrations in the earth, one can detect hidden enemies and traps with incredible accuracy that sight or sound couldn't reprieve. It’s an excellent tool to use against the Silent Mist technique and other combat scenarios that makes sight impossible. The range reaches as far as a kilometer radius around the caster. [+ Parent Jutsu:] < - Heightened Senses Ability. Manifests the dormant power that resides in Asura's soul and awakened by Yang Release. As such, Asura takes on that god's traits and abilities. 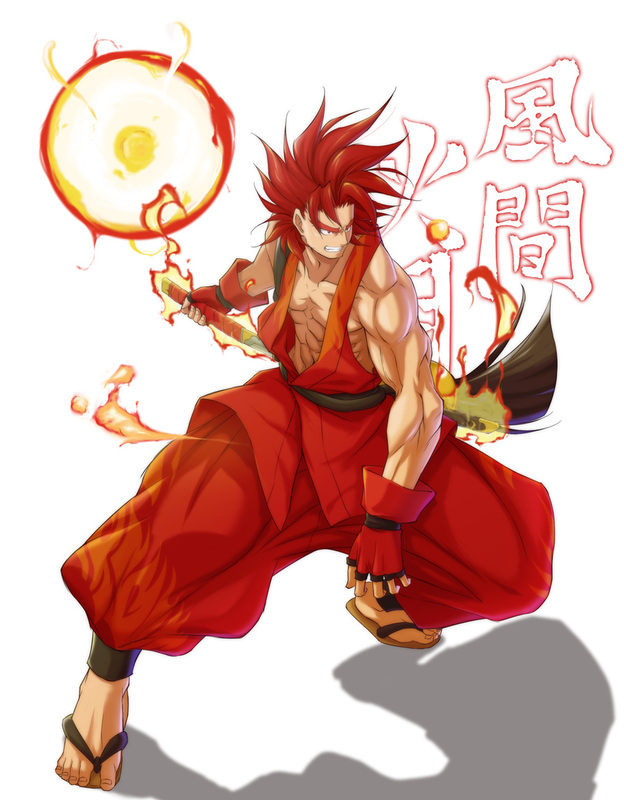 From the back of the caster, chakra takes physical form, forming four large, fiery arms that move to the wielder's will. The arms are used in both combat situations and allow the weaving of extra signs. > User releases an aura of fire and separates to take on a perfect clone of himself. This allows one to gather information, fight or training. Clone reflects caster perfectly. If attacked, clones explode, dealing a fraction of damage to the attacker. + Requirement & Restriction: Can only gain chakra back if not destroy. > Breathes out fire and takes the form of a large eastern style dragon. This dragon is made of fire and follows the caster's chakra. However-- the caster may easily control his chakra through the air and lead the dragon towards a target, allowing the dragon to act like a guided missile. + Effects: Burn + Homing Status = 11 roll (Automatically, Cannot Gain or Reduce in battle). > Unleashes a concentrated and compressed burst of Enton chakra to a single focused point. The lance-like beam burns and pierces all in its path! This jutsu is extremely effective at breaking through barriers to strike at enemies as well as long range combat. + Type: Offensive, long range. > Drawing out the flames of the wrath within, Asura unleashes a mighty roar towards his targets. Crimson fire spreads out like a sea, burning all before them to ashes, chakra and all. There seems to be a sense of malevolence in these flames. + Effect: Burn Status + Burn status drains 25% of enemy chakra per turn. > Combining the power of Inferno Release with change in chakra-form, the caster molds the white flames to form a wide-area pattern along the ground. Upon activation, the flames erupt outward and take on solid shape around the caster. The shape and power creates a protective space that blocks incoming attacks from all sides, using an enemy’s own physical energy against them. From the ground, it appears to look like a strange white lotus flower—from the air, it forms a perfect geometric pattern that is a holy symbol of a mythic empire. + Effects: Blocks All DMG = Attacker’s MAX Health. + If Attacker’s Damage is lower than their Max Health, the difference is added to defending user’s stamina. > A version of the Rasengan transformed by the life-defining properties of Yang Release. The sphere bright light becomes even brighter and almost pure white in appearance. The physically manifested chakra of the famous jutsu is adapted to manifest the physical energy of the caster. The jutsu compresses so much energy, if released, it can be transformed into a massive beam of chakra that can decimate an opponent from far range--viewable from afar similar to a sunrise. + Effect: Damage = (User's Stamina + HP) + Damage dealt against enemy's original End (negate status boost). +Conditions and Restrictions: To Flow Chakra raise in End does not get negated. [ + Damage: ] 65% of Dex. +/or Effect] < Damage to all targets +Burn Status to both caster and enemies. + Only S Rank suiton can smother flames out + Instant Kills = 15% HP or less and leaves no corpse. [+Restrictions:] Only S Rank Suition can smother flames out. >A Variation of the Rasengan created by a rogue ninja of Iwa. 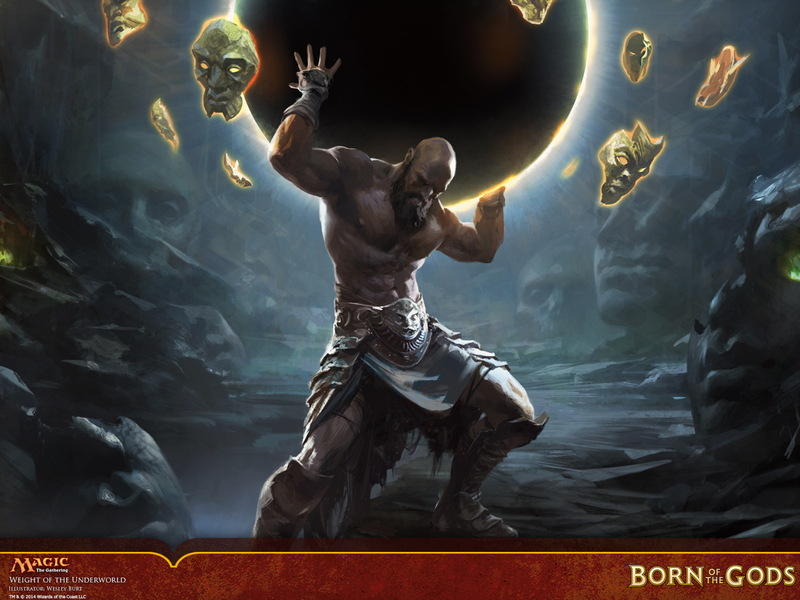 Named after the Titan, Atlas who was said to hold up the very planet on his back through the sea of chaos as punishment for his crimes. Focusing enhanced earth-chakra into the Rasengan, the chakra becomes denser. Pieces of earth orbit around the sphere and it glows with a darkness like black onyx. This deceptive jutsu takes the form of a powerful attack—but its true power comes in its massive gravity it inflicts upon the target. The infused chakra that makes contact will put so much pressure on the enemy, they won’t be able to lift a finger. A truly fearful jutsu, indeed. + Damage: 65% of Dex. + Effect: Ignore 50% of enemy End + Target’s Nexus Stats reduced by X 0.50 + Paralyzed = Rolls = 0 | Strength & Dexterity = 0. > The power of Inferno Release is released in its ultimate form as the caster becomes one with the white blaze of their own life and soul, greatly increasing their power. After the blaze engulfs them, they emerge in a white-burning aura pattern along their body along with a jacket’s cloak. The flames of Inferno Release create a white chakra shroud with a tribal sun pattern on the back with the spiraling flame-like designs that etch over the cloak. The flames of the jacket’s arm seem to extend, almost like wings of a phoenix. + Effects: Flight= Immune to Status effects caused by "terrain effects" + Katon-affiliated jutsu costs reduced by 1/2 + When one has Tengan active at 100% mastery, Shounetsuton jutsu (including Taiyo charka mode) cannot be negated by any external force except its caster. + Drawbacks: Only negation possible is via (Six Sage) Yin-yang release or sealing techniques. > The power of Inferno Release is released in its ultimate form as the caster becomes one with the white blaze of their own life and soul, greatly increasing their power. After the blaze engulfs them, they emerge in a white-burning aura pattern that covers the user's body. Flame like patterns run over the clothing of the caster. Unlike its sibling jutsu-- this one uses the Inferno Release to not only enhance the body, but converts the damage the user does to restore his physical energy. The cloak takes on a form of white stripes—almost similar to a white tiger’s. + Effects: Nexus Buff X 1.50 + Damage done by Melee/Taijutsu and Shounetsuton jutsu restores user's Stamina and HP by 25%. + Max Burns on Damage Done & Received. > After studying the powers of Amaterasu of the Uchiha, Asura had adapted the same legendary jutsu into his own power of Inferno Release. Using the flames that could even consume Amateratsu, he has evolved it into the true brilliance that the name defines. The flames of Shounetsuton is the true fires of creation, that puts the Uchiha’s use of the name to shame. It emerges the same flash of flame on target’s sight but burns with a stronger purity. It also is said, when confronted with its ‘adversary’ jutsu, it grows even stronger in retaliation. + Effects: Damage = Caster's Max Health + If used to counter “Amateratsu” [Includes related] or Blaze Release jutsu, Target Gains -15% HP Per Turn due to constant burning from rebound. +Requirements and Restrictions: Tengan active to use. > This allows those who have awakened the power of Shounetsuton to convert Katon, even Enton jutsu into Shounetsuton. As a result, the previous jutsu are given new life and power by paying extra in chakra. Jutsu enhanced by Shounetsuton become unparalleled in power. The flames of life are drawn to the physical energy of the target, driven to burn them to ashes. + Effect: DMG = X Target’s Stamina gauge. +SP. Effect: If user has the Tengan active, DMG = Target's MAX Health instead + Burn Status cannot be negated. > A sacred jutsu bound to the weapons of the Tigers. Their claws always tore their enemies to shreds, and now too can they use them to rend through space itself. By slashing at a pocket of space, one may tear through reality and cross space through the claw-shaped slash. The tears can be used for multiple purposes from fast-travel teleportation to evading enemy attacks by cutting a portal via the claws. With careful placement and proper control, one can use the portals to bypass enemy defenses or redirect an enemy's attack. One must have a clear location/idea in mind of where each tear in space occurs. +Cost: 30% > Lvl 2 = X +20%. + Lvl 2: Reflect 1 Enemy Attack against new target | 1 Turn = Can’t be blocked/reflected. + Requirement & Restriction: Jikku Manipulation Knowledge + Must have “Tiger Claw” Weapon Equipped, forged from Shinkoku territory. - By Mastering the powers of Enton, Asura had become one with the flames themselves. Using this power, he can transform himself into Enton itself in order to counter and evade attacks. As these flames, one can easily sweep across the battlefield in a flash of fire. + Effect: Evade 1 Attack | Next Katon/Affiliated Jutsu deals X1.15+ extra damage. + Created by: Asura "Enjin" Jiin. Shinkaton: Kaen - Phoenix Art-- Dying Sun Reincarnation! Draws in smoke and flame, and user erupts into three bolts of black/red flames which rocket into the sky. As they reassemble back into a person several meters up, their body produces powerful red flames as they rocket back towards the ground at a violent speed. The resulting impact causes a massive explosion and flame erupts in all directions. After which, the caster reconstitutes himself from the glowing ashes back into his original form. Traits: Inextinguishable by normal means | Nature can be changed to heal as well as damage. Using the Tengan, the caster focuses on a single point within line of sight. Through Thermal Manipulation the user ignites a set pocket of oxygen in the area and via the eyes sets a spark to it-- producing a powerful explosion on site. This attack is very sudden and unexpected. It can easily catch an opponent off guard. Damage | Effect: 500 | Direct Damage + If User Possesses Enton at 100% Dmg X1.20. OR If User Possesses Shounetsuton at 100% Dmg X1.40 (One or Restrictions: Bonus to dmg via katon-affiliated elements can only be used once per cast. Not both stacked. (What do you mean by the "One or Restrictions"? [+ Effect] < - Seal/Mark placed on Asura that binds him to equipment he owns. Used in combination with "Swift Armory Exchange" to make jutsu work properly and instantly exchange items to himself swiftly. > A pre-programmed seal that responds to the wearer's mental state. The seal takes the shape of a black and white tiger in a yin-yang seal upon the back of the person, along with the substantial jutsu formula. The seal acts like a curse mark as it reacts to a certain stimulus to the person inscribed on. In the event the subject succumbs to a powerful Genjutsu and is unable to break out of it-- the seal triggers. In response, the seal on the applied person's back summons a powerful ally of the Blood Vale Tigers to aid the summoner. The contracted summon is driven to aid the person under the Genjutsu. + Effect: When inflicted by a Genjutsu of S class or higher and unable to break free, Summon "____________" free of cost. + Restrictions and Requirements: Seal expires after use. Needs to be reapplied later for other uses. Summon may only be S class or lower. Yang Release Seal: Heavenly Sun Rejuvenation. > A seal normally invisible but positioned over the heart of the body in the shape of a tribal sun. It appears when triggered. The overflow of life energy that radiates from Yang Release chakra rejuvenates the person after suffering catastrophic injury, either by an enemy or by overexertion of the own body. However, one who has Yang Release chakra within them, can never age beyond a certain point. They gain eternal youth and infinite longevity. Chakra Cost: -60% (to cast). Releasing the seal costs none. Sp. Passive Effect: Possess Yang Release = Target user cannot age beyond their mid-20s and have infinite longevity. + Adds +3 to Mantra Inner Gates limits. Restrictions & Requirement: May be cast on another person-- but will fade after one use unless user has Yang Release Element. Unable to use after activation for 1 month IRL. Can only be undo/broken if user has yang Release/Yin-yang release. > A powerful seal that responds to the presence of chakra nature inside a target. The result of the seal destabilizes the opponent’s strength and abilities, which makes their chakra unstable. The more elements an enemy has, the more the seal wreaks havoc on their chakra network. + Hand Seal(s) + Rank: 0 (Requires both hands to form) + A class. + Effect: When afflicted by seal, target opponent loses 50% of stats based on the following element they possess. > A seal which works by binding a powerful chakra to the caster or designated host. It works by using the elemental chakra natures bound in a target—and uses it to reinforce the strength of the seal to which it is bound to. + Hand Seal(s) + Rank: 5 (Requires both hands to form) + S class. + Sp. Effect: For every element a bijuu/chakra being possesses, it takes X number of attempts to unlock or break this seal successfully, where X is the number of elements said chakra being has. >Learned from the Shishen cultures to the west, they has a different viewpoint of Hachimon, the 8 Inner gates. Observing the flow of chakra in the body, true power may be obtained by working from the bottom up through 7 critical chakra points instead of 8, awaking both physical and spiritual potential. There are many chakras in the subtle human body according to the tantric texts, but there are seven chakras that are considered to be the most important ones. "By understanding true peace and sense of self will true power grow within ourselves." By learning the true charka points-- one cannot have access to Hachimon's effects. + Gate's effects and limits can stack. Limits stack per activation. Each activation acts as a transformation. > Located at the base of the spine, this chakra is empowered by the will of survival and is influenced by fear. Upon activation and realization, this gate works similar to the Hachimon's first gate-- allowing access to 100% of the muscles in the body. A rush of red energy coats the body upon this true chakra's release. > Located at the Sacral area of the body, this chakra is empowered by pleasure and joy and influenced by guilt. By working through this chakra and willing to forgive one's self, one is able to renew their sense of life and purpose, allowing one's own chakra and energy to be enhanced further. 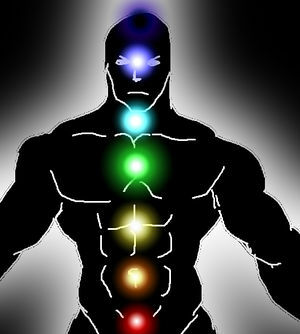 Chakra is now visible as a surge of energy around the body. > Located in the stomach, this chakra gate governs the use of willpower, and is blocked by shame. One must let go of their disappointments and letdowns that haunt you. By unlocking this gate, one can surpass physical limitation and empower one's attacks. Their muscles become more defined and larger. The body is now engulfed by a golden aura of energy that radiates with great power, showing one's strength now enhanced further. > Located in the heart, or center of chest, this gate governs the emotional aspects of person. It deals with love and compassion, and is disharmonized by grief. Ones unlocked, energy surges far greater from both the body and soul. As if one's own bioelectricity is overflowing from the release of the chakra gate. > Located in the throat, this gate governs the aspect of a person's communication, will and desire for truth. It deals with truth between others, and is blocked by lies. By awakening the concept of thought and spiritual awakening, one unlocked a vast reservoir of power buried deep beyond the physical reach of the body. This overflow of power creates a golden aura of energy, which also changes one's hair color. The surge of both chakra and spiritual energy. + Effect: (Nexus) Attributes STR + DEX+ Awareness x1.45. & (Nexus) Attributes STR + DEX Halved < After Gate Ends till healed. > Located in the center of the forehead, this governs the third eye-- one's sense of intuition and insight through matters that they cannot see. By unlocking the Third Eye Chakra-- one can see past the illusions of the world and obtain true clarity. They become far more focused and able to react quicker than before. + Effect: Breaks free/Immune to Genjutsu of S class and below. Cost of Jutsu become reduced by 35% & Suffers -25% Sanity and loses -20% chakra till end of battle. > After Gate ends. > The final Chakra gate is located at the top of the head. When released one leaves all mortal and earthly attachments behind to embrace the pure cosmic energy that surrounds the universe. One becomes a 'perfect being' and attain a height of self that mere mortals cannot comprehend. The body becomes aglow with glowing crimson light, their form changes and hair grows longer. However, unlocking this state shall leave the body exhausted and extremely vulnerable. Note Near Death State or NDS is a status effect so use that instead. > Spurred on by the need of survival and the basic of needs to earth, this Taijutsu move pushes one's physical power and speed to the surface. The user delivers a barrage of punches at the enemy. They strike so hard and move so fast, it almost appears as if the attack is being delivered by multiple arms at once. + Damage + Effect: If attack lands, you may use another taijutsu move as an Ex. Attack. + Requirement + Restrictions: Release (1st) Chakra Gate: Muladhara - The Root/Earth Chakra + Extra attack option must be D rank or less. > A series of punches delivered by one who is proficient in both body and mind. By awakening the second gate of Svadhishthana , one's focus becomes as fluent and adaptive as water. By performing a series of punches in key points in the body, one can not only able to damage, but cripple an opponent's movement and strength. + Requirements: Must have Second True Mantra gate, Svadhishthana active. + Knowledge of Medical Ninjutsu for pressure points in body. > A fiery willpower builds up to fuel the Taijutsu user, and sends them forward like a rocket. The user moves in a fast darts of movement around the battlefield to build up momentum—and once at its climax, the person resembles a burning blur like that of a comet. The target darts above the target—and slams down with devastating force. + Effect: Direct Damage + Stun Opponent. + Requirements: Must have Third True Mantra gate, Svadhishthana active.